It is the centenary of the outbreak of the First World War. It was called the Great War but there was nothing particularly `great’ about it. It will be remembered mostly for the sheer volume of human sacrifice. There are already different perspectives being presented but overwhelmingly it will be that of incompetent leadership balanced by incredible acts of bravery from those in the field. It has been said it was `…a war led by donkeys but fought by lions’. It is a time to remember these sacrifices. Both the Sefton and Pembroke elements of our current club provided numerous volunteers for this bloody conflict. Notably from Sefton there was the Chevasse twins, Noel and Christopher both of whom had run in the Olympic Games of 1908. Elsewhere on our website can be found the only known photograph of these athletes. The Chevasse brothers came from a well-known Liverpool family, their father was the Bishop of Liverpool, and were active in a range of sports as was common in those times. Along with countless others they were swept into the war and both were extremely brave. Noel, in particular was to be awarded the Victoria Cross and bar and became the most decorated soldier of the conflict. As a medical officer he frequently went out into `no man`s land’ to rescue wounded soldiers. His courage never deserted him but inevitably his luck ran out and he took a bullet in the brain and died in a military hospital (please read a full account elsewhere in Sefton`s history section). Brother Christopher survived and went on to become the Bishop of Lichfield. Noel was not the only Seftonian to die and a Roll of Honour to athletes that fell is in our history section. Jack Humfrey, associated mainly with the Pembroke club, was a talented sprinter and well-known on tracks in England, Wales and Ireland. When he handed in his resignation in 1916 as the club handicapper and went for military training he must have known that the trenches of France would be his destination. 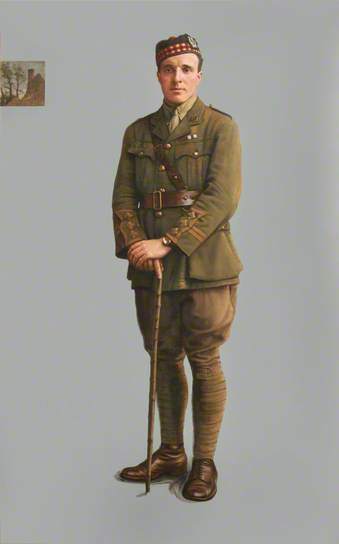 Initially he joined the Lancashire Hussars as a private, going on to serve with the fifth Liverpools and the York and Lancaster Regiments rising to captain. He continued to compete whenever possible but he too met his end in a French hospital on July 18th, 1917. A club subscription post-war bought the Humfrey Trophy to be awarded to the club senior cross country champion . This was competed for until 1992 and contains the names of seven members who rose to international selection, Norman Jones, Harold Marsh, Charlie Kelly, Trevor Holt, Ken Gates, Dave Dudley and Martin McLoughlin. At least one other club member lost their life but Pembroke records are thin. Sassoon served in the Royal Welsh Fusiliers with great distinction earning the Military Cross which he later threw away. He wrote his war poetry at the front becoming increasingly angry with the war leaders whom he held responsible for much of the tragedies in the trenches. Later the authorities tried to have him declared insane for his constant criticisms but he survived them all becoming a prizewinning author and poet. It is good that we pause a few moments to remember them all.